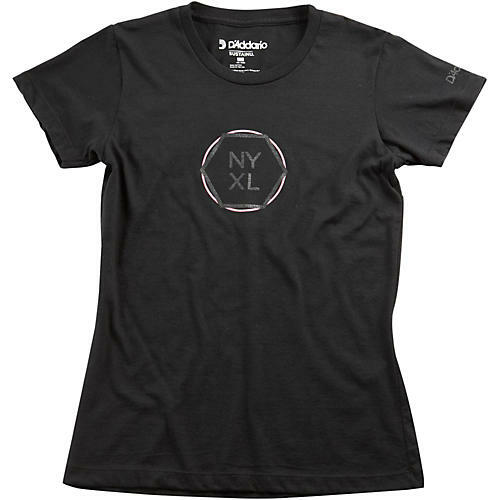 This women's cut T-shirt is black with the pink/magenta NYXL circle logo in the center. It is U.S.-made with 100% recycled material. Available in multiple sizes.